I mean, unfortunately, we, as Blacks, are self-checked (more on that later). We are not disturbing the pot. According to these very conservatives, “the Mexicans are taking over”, “The Chinese are stealing our technology”, “the Muslims are trying to kill us all…” So why the over flowing obsession to want to talk badly about Black folks? Shouldn’t you be more concerned over what these other guys are doing? 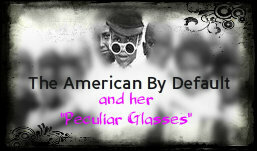 The way I see it, through my “peculiar glasses”, you white conservatives are like junkies hooked on blacks not crack. Insulting us makes you feeeel gooood. The world could be falling down around you, but if you’re “trippin” on Black people, it’s all good. Well, I say, your are trippin… But if you trip too hard, you just might fall. Down goes the white man… Down goes the white man… I bet you don’t know why you are so hooked on Black people. The answer is the reason I started writing my blogs… You too, are feeling the effects of American SLAVERY. Oh Yeah. More on that next time. 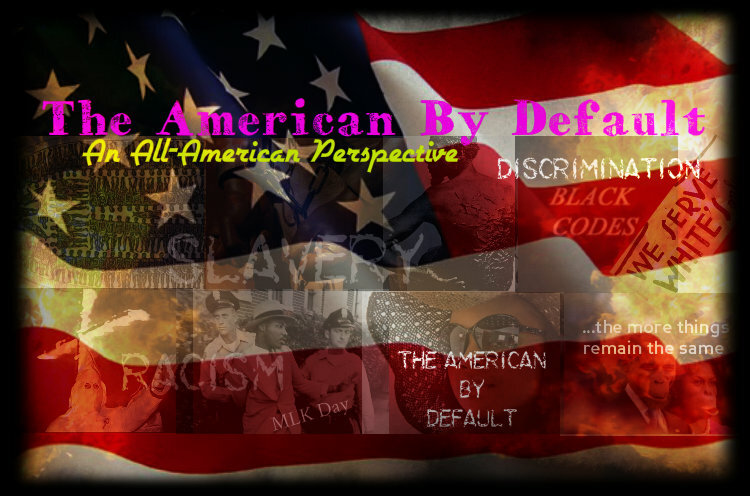 I am the American-By-Default and I’m watching you through my peculiar glasses. And let me tell ya… I don’t like much of what I see. So I’m going to tell you about it, JUST IN CASE YOU TRY TO FORGET!